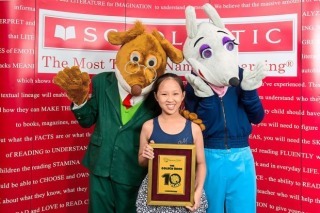 SCHOLASTIC Malaysia, a subsidiary of the world’s largest children’s book publisher and distributor, Scholastic Inc., as well as publisher of the Geronimo Stilton book series (English version), recently announced the lucky winner of the “Geronimo Stilton Golden Book Contest” raffle, a Scholastic Asia initiative involving Malaysia, Singapore, Hong Kong, Philippines, Indonesia and India. The contest was held in conjuction with the bestselling series’ 10th anniversary. 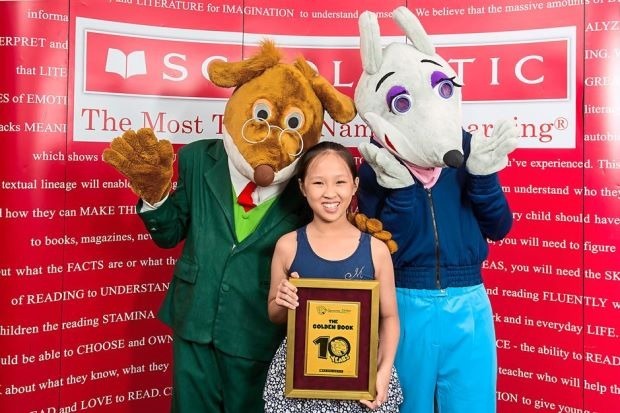 Ten-year-old Tebby Wong, from Kuala Lumpur, won a limited edition Geronimo Stilton title, The Hunt for the Golden Book, which sports a 999 gold-plated cover. The Geronimo Stilton books feature the adventures of the titular character, the editor-in-chief, of the The Rodent’s Gazette, who just happens to be a mouse. The books are fully illustrated with amusing drawings and maps, and utilise colourful, eye-catching fonts, making it an ideal tool to engage young readers, including reluctant ones.